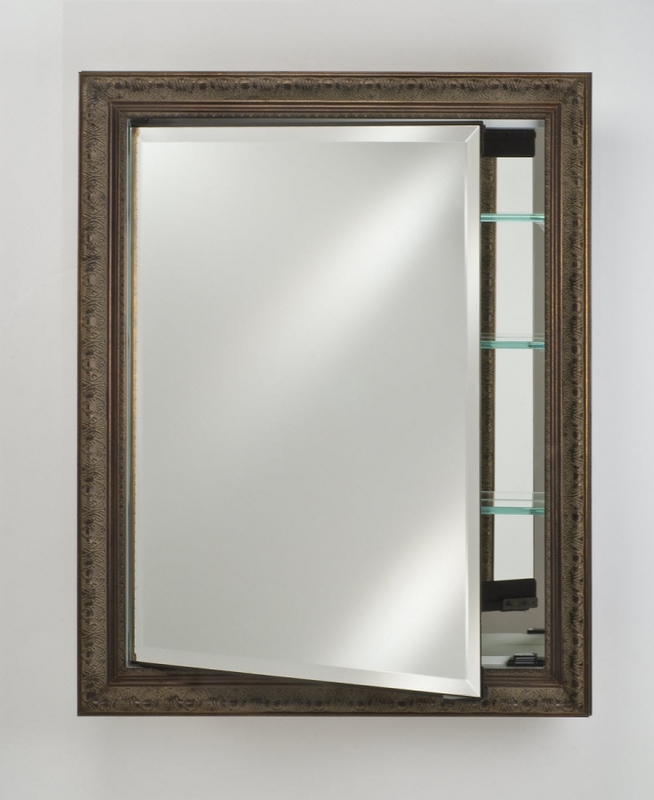 The classic style of the frame around this single door medicine cabinet will look great in any of the many finish choices available to choose from. The interior shelves provide room for storage in the bathroom. The mirror has a beveled edge that enhances the perception of depth of the piece.